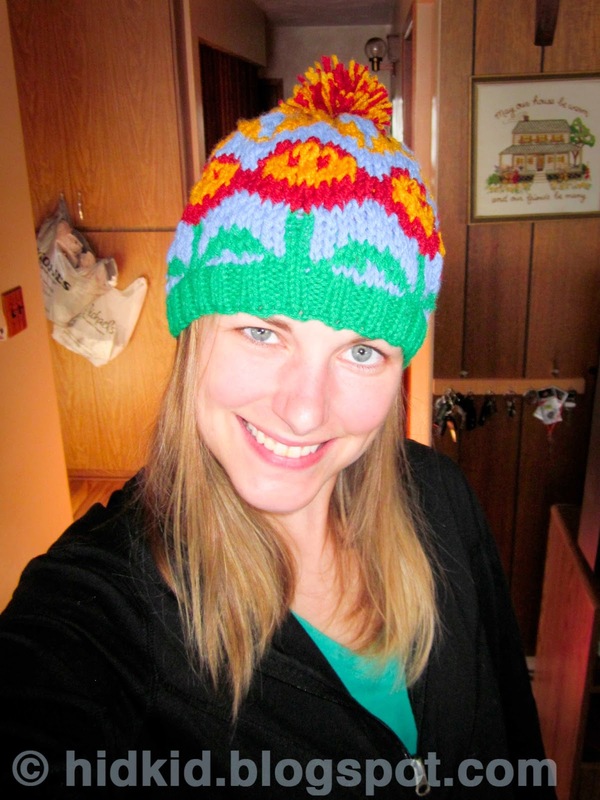 This hat and mittens pattern is one of my favorite designs. 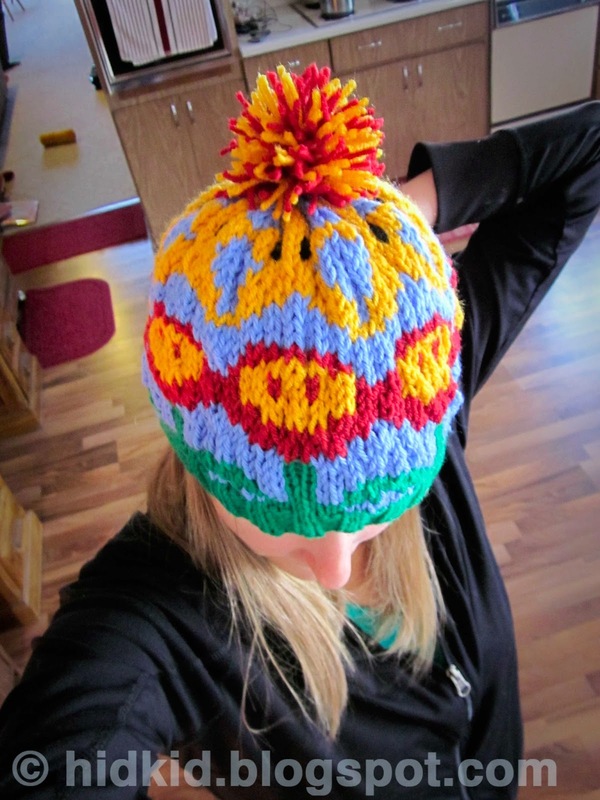 I found a cool Nintendo-themed Hat in the Holly Knit! 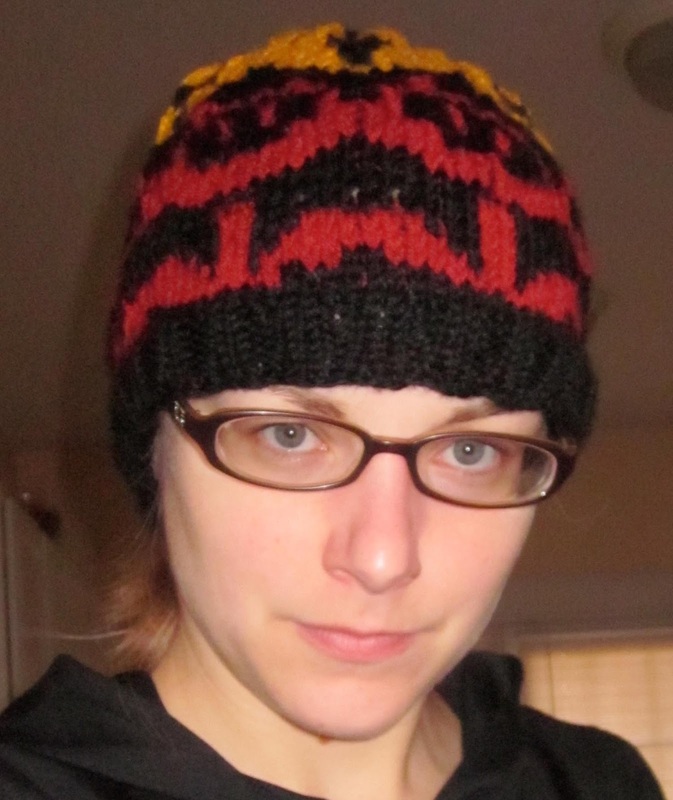 blog and thought the design was so cool that I decided to adapt it into my own pattern for a hat and mittens. This makes the perfect gift for that gaming nerd (don't take me the wrong way, this is an affectionate term!). 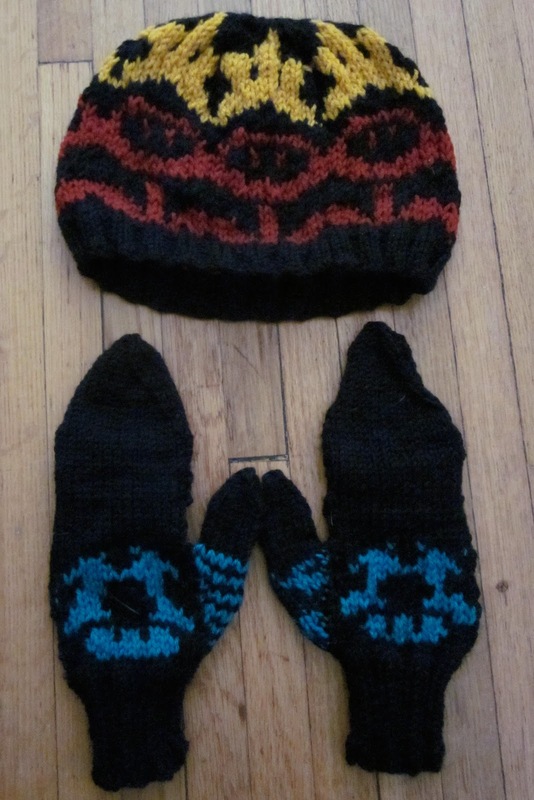 A pattern for the hat can be found here (information about the pattern is here), and a pattern for mittens is here. Both patterns require two-color strand work. If you have never done strand work before, it is very easy, just add on the second color when ready for it (I tie it to the current color I am working with, very close to where that yarn meets the knitted project) and knit with one color while holding the other color to the back. Then when doing your pattern, simply switch colors when needed. 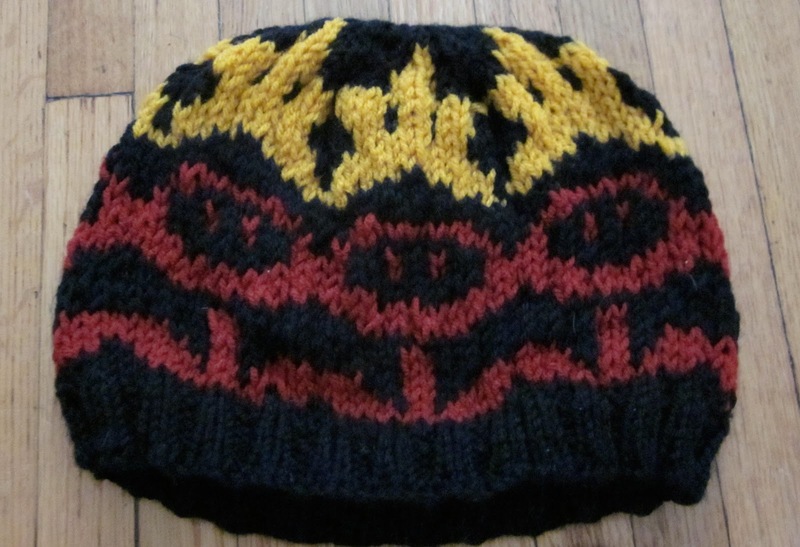 Because this pattern has quite a few long patches (more than three stitches) with one color, you should twist the color you are holding back around the working color every few stitches to maintain some stretch in the hat and keep the non-worked color from being too taut. Here is a good online tutorial for strand work. I learned how to do strand work in Hat Heads which also has a lot of good tips for making hats and creating your own designs. 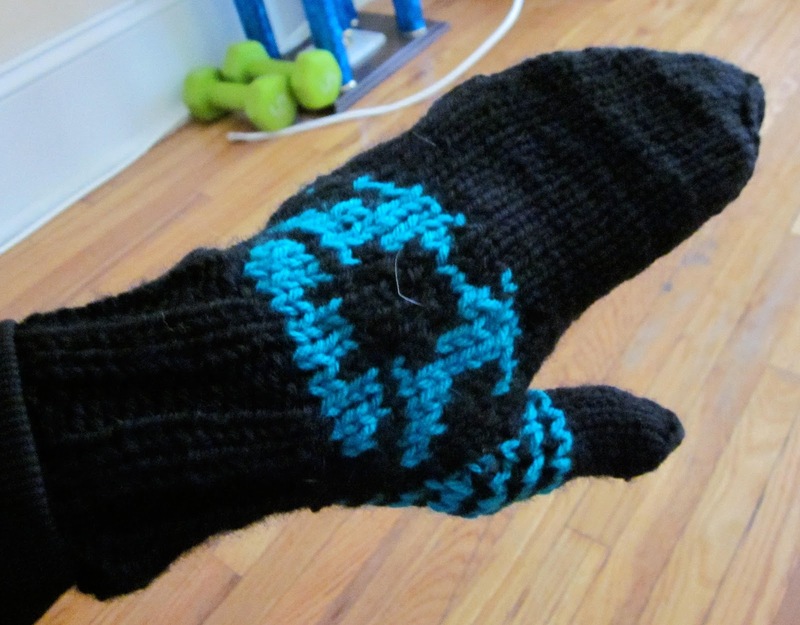 I am posting the mittens as a pattern for regular mittens, but they can easily be altered to mittens with flaps. That is pretty dope Gerb! And I like the pic of you, you look like a Russian sniper- BA!